I have been a Catholic all my life. It is all I really know, and I am sure that there are many aspects of being RC that I have long ago simply taken for granted. As I reflected on this question, the answer started to become clear. I would miss the sacraments. As Catholics, we are sacramental people. This is not to say that other Christian denominations are not, but as you look into how the Christian churches evolved following the Protestant Reformation in 1517; you will see that there are many different interpretations about what a sacrament is and how many of them, there are. I have mentioned the Baltimore Catechism previously, and if you are of a certain age, you may well remember it either with great fondness or with relief that your early days of religious education are behind you. In looking back at this short Catechism on-line I was amazed at its brevity and its ability to get to the point. I have to admit it is a definition that has never left my mind since it was drummed into me by a tiny nun in Grade 2 as I prepared for my first Holy Communion. As Catholics, we celebrate seven sacraments as a community. These sacraments are pure gifts to us from our loving God. I use the word “pure” in front of gift because the sacraments have been given to us freely. Sure we take vows and profess things and there are rites, rituals and signs. However, the real gift in the sacrament is grace. How we use this gift is up to us. Today we ponder the gift of Baptism and the other sacraments of initiation. Initiation is defined as a rite of passage marking entrance or acceptance into a group or society. In today’s Gospel reading, we see the beginning of Jesus’ public ministry. John had told people that he baptized with water for the forgiveness of sins but there was one who would come after him who would baptize with water and the Holy Spirit. On Christmas day, we celebrate the incarnation of God. We recall the truth that God so loved the world that he sent his only Son to be with us. It is at the moment of Jesus’ baptism that our God announces this gift to the world and says not only is my Son with you, but the Holy Spirit will be there to guide you through the journey of life. At the time of our baptism, we come to share in this moment, and we too become the beloved of God and the energy, the grace of God, the Holy Spirit fills us with possibilities. This gift, however, is freely given, and it is up to us to use it fully or we can discard it if we so choose. The Sacrament of Confirmation is a part of our initiation into the community. In this sacrament, we recall our baptismal vows- we affirm our belief in God and his Son, and the gift of the Spirit is renewed and strengthened within us. 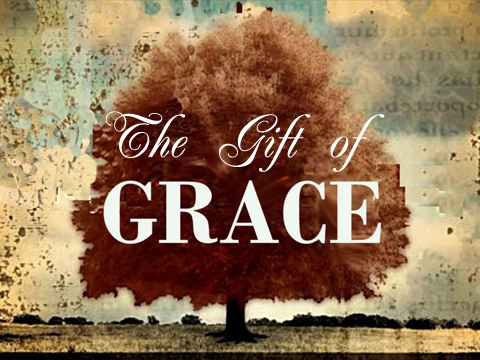 Again, this gift of grace is freely given and up to us to determine if and how we will use it in our lives. We join in full communion with the community of the Christ through the Sacrament of the Eucharist. The Church considers the Eucharist to be the source and the summit of our lives as followers of the Christ. We are sealed in baptism and confirmation so these sacraments are received only one time. The gift of the Eucharist, however, is available to us as an on-going reminder that Jesus left us his body and blood as spiritual food for the journey, and that we are called to use the gift of grace we receive in Holy Communion in service to others. Saint Francis of Assisi would tell his brother monks that they needed to take the gift of grace given to them in the sacraments and go and be with the people. The Franciscans cared for the lepers, planted crops with the peasants and encouraged the rich to care for those less fortunate. These monks in their simple brown robes took nothing with them except the graces they had received through the sacraments. They prayed and believed that the gift of this grace was all they needed because Jesus was truly with them until the end of the age. We share in the promise of the Baptism of the Lord. We too are the beloved of a God we dare to call ABBA, Father. In Confirmation, the gifts of the Holy Spirit are renewed in us. Today many of us will be fed by the Eucharist. The Body and Blood of Christ is the gift of God’s grace, the spiritual energy, we will need to follow the great commission of Jesus when he calls on us to go and make disciples. When this mass ends, we will be encouraged to go in peace and to fully utilize, in fact, give away, the gifts of grace we have received through the sacraments and in doing so we will glorify the Lord by our lives.